Is there a way to see what data by volume has been transitioned into Glacier? I am concerned you are seeing double billing. When the object is transitioned, it's moved and billed according to Glacier storage pricing. Each service charges based on average storage for the month. There is some metadata left in S3 for the transitioned object. So, if you transitioned lots of small objects, that could be the issue for the higher-than-expected billing. For each object transitioned, 8K of metadata storage is reserved in S3. For each archived object in Glacier, Glacier adds 32K of storage for metadata. So, a worse case scenario of say 10,000 8K files transitioned would result in: S3 Charges of 8K (metadata for each file) * 10,000 (files) and Glacier charges of (8K (for each file) + 32K (Glacier metadata per file)) * 10,000. You can see the inventory of data from the S3 bucket - as that is where inventory is managed. From the AWS Console, you should be able to see the Storage Class column when viewing files and any in Glacier should say "Glacier". You can also click on a file and then click Properties - Storage Class to see and / or change the Storage Class of an object. Thanks David. Yes I expected the month of the transition to be higher, but expected it to drop considerably after that. The way Cloudberry nests the folders it is tedious to dial down to see the storage class on each MBS instance.... But I will check those places and see what I can find. Can I delete data directly from Cloudberry Explorer? there are many 'mbs' locations that can simply be removed. If you delete anything from Explorer, then CloudBerry Backup will not be aware of the delete. 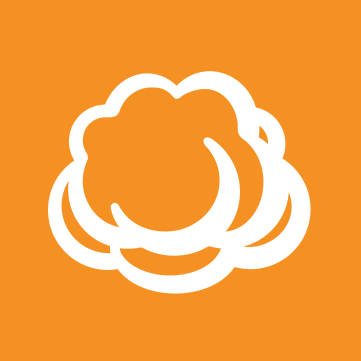 You are better off deleting from the Backup Storage tab in CloudBerry Backup. You can right-click on a folder and select Delete, if needed. Having said that, what are you looking to delete from backup storage, and why? Please be aware that Glacier has a 90-day minimum retention policy and removal of objects prior to that duration will result in early termination fees from AWS. Just to be clear, you set the Lifecycle Policy in AWS (as opposed to in CloudBerry Backup)? If so, have you checked the Lifecycle details to be sure it was set up correctly?